I just played Poison's "Talk Dirty To Me" 17 times in a row on Guitar Hero III. 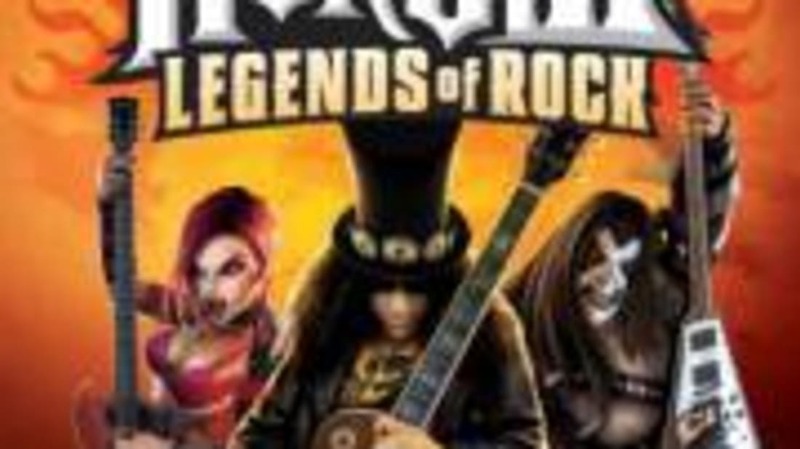 We got Legends of Rock for the Wii for Christmas and I think I have a problem. I mastered the easy setting right away and was so proud of myself. I'm now trying to master the hard setting. I skipped medium. I laughed at medium, actually. 'A virtuoso like me doesn't need medium,' I thought. And now I've just listened to a Bret Michaels impersonator 17 times in a row. It's sick, really. Side note: A friend of mine hates the game because he thinks that it's time kids could be spending learning to play the real guitar. I get that; I really do. But I will defend myself by saying that I do know how to play the real guitar (not well, but that's beside the point). Just last night, we went over to a friend's house to play Rock Band on the Playstation 3. Guess what? I'm a prodigy on the drums, too. At least on easy. I tried to move up to medium on one of my favorite songs (When You Were Young by the Killers) and I just bombed it. I mean, royally. To make this a real post and not just "look at what a loser I am," let's talk about the story behind the game. Guitar Hero was inspired by an arcade game that has been around since 1998 - GuitarFreaks. GuitarFreaks was (and is) especially popular in Japan. It can sync up with another arcade game called DrumMania so a "band" can be formed. The budget to bring Guitar Hero to life on a video console was a mere $1 million. The (relatively) small investment paid off, big time: as of September, the first Guitar Hero alone had sold 1.5 million copies. Harmonix Music Systems, the company that developed the game, quickly realized what a smash hit they had on their hands and announced in April 2006 that Guitar Hero II would be hitting stores the following October. It was an even bigger hit - 3.1 million copies sold as of December 17. So, hello, Guitar Hero III was a no-brainer. Aficionados may notice differences between III and the two preceding titles - that's because it wasn't made by the same company. Harmonix, the company that made the first two, was purchased by MTV. Development of the game moved to a company called Neversoft. Don't cry for Harmonix, though - they went to make Rock Band, which is doing extremely well in its own right. Considering that Rock Band just came out on November 20, it's pretty impressive that it has already sold almost 400,000 copies. It's rumored to be coming out for the Wii... I can only hope. Now, if you'll excuse me, faux Bret Michaels is calling my name. Gotta go.